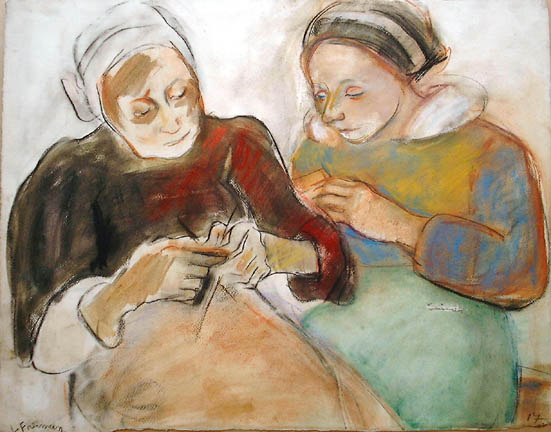 Lillian Freiman (1908-1986) was a Canadian painter who was born in Guelph, Ontario, and studied in Montreal and France before settling in New York City. Influenced by Degas and Toulouse-Lautrec, Freiman mastered subtle interpretations of every day people. She was known for her studies, mostly of women, but also bird cages, as well as orchestras and musicians. 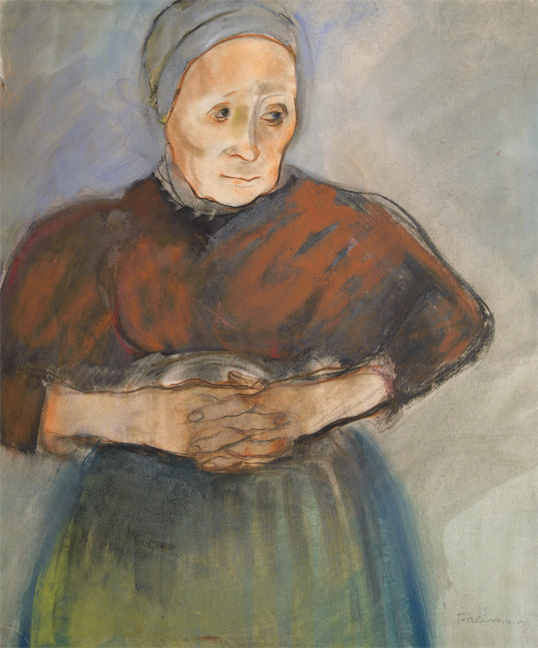 While living in Paris and Brittany, she often used the faces of Bretons as the focus of her work. With her interest in experimenting with different techniques, Freiman’s work often has a combination of different media including pastel, crayon, and watercolour on paper; and occasionally oils - on both canvas, and on wood. Freiman’s works are held in collections including the Art Gallery of Ontario, the Agnes Etherington Art Centre, the McMaster Museum of Art, and the National Gallery of Canada.